Choose from a selection of 8 holiday rentals in Cómpeta. Use the search form to the left to filter the results and pick your choice of self catering accommodation in Cómpeta. We have a good selection of holiday apartments in Cómpeta perfect for family, single, romantic and group holidays. You may prefer to take a look at our listed holiday villas in Cómpeta or holiday apartments in Cómpeta. Find your holiday homes by a specific type using the property type drop down in the filter. Filter the holiday homes in Cómpeta by a specific area using the area list above. It is a charming and quiet cottage with a covered terrace, a lovely private pool and an incomparable landscape. This bright and contemporary villa is located amidst beautiful surroundings in the Andalusian hills, affording the property with clear views of the spectacular Costa del Sol landscape. 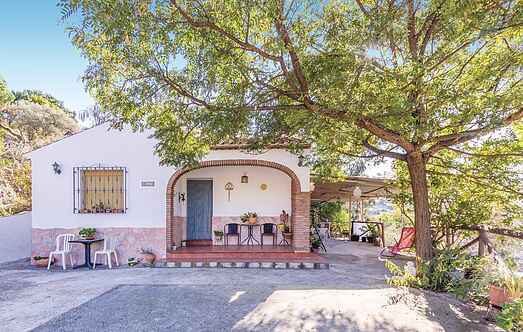 This beautiful Costa del Sol villa with situated within a mango plantation, approximately 1.5 km from Cómpeta. This fantastic holiday home is situated on 4000 square metres in a prime residential area. It offers spectacular views of the surrounding countryside and offers plenty of privacy. Competa is one of the white villages of Andalusia, still with authetic atmosphere.